Our firm is enlisted as one of the renowned names in offering high-quality Strategic Security Planning Service. 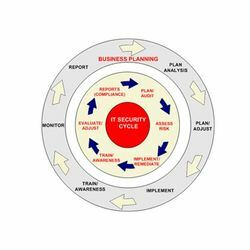 In accordance with the specifications provided by the customers, these security services can be customized. Conducting Preliminary Survey to analyze the security requirements and accordingly recommend suitable manpower/equipment. The B&K team's wide international exposure, which includes business creation in several foreign countries, makes our advice on the challenges of global markets, and the globalisation of the Indian market, invaluable. Azure Biz Consultants Pvt. Ltd.